The Sun System LEC 315 utilizes a cutting edge Light Emitting Ceramic technology; the fixture has a 98% reflective German aluminum insert and 95% reflective textured corners for excellent output, uniformity and diffusion. Highly efficient agriculturally engineered CDM-T Elite 315/930/U/O Agro Lamp (lamp included). It offers a greatly improved full color light spectrum out of next generation ceramic lamps. Higher amounts of beneficial UV and far red spectrums increase the lamps growth power to the plants. Available with 3100°K or 4200°K color temperature, high 92 CRI, 33,000 initial lumens (105Lm/W) and a long life 20,000 hour lamp. High 90% lumen maintenance @ 8000 hr & High 85% PPF maintenance @ 20,000 hr. Unique open rated lamp construction reduces radiant heat from the arc tube and is suitable for open fixture use. It features a 50/60 Hz low frequency, square wave, highly efficient electronic ballast rated for 50,000 hour ballast life. The LEC 315 driver incorporates built in thermal protection and a one year warranty lamp. The Sun System® LEC™ 315 utilizes a cutting edge Light Emitting Ceramic technology; the fixture has a 98% reflective German aluminum insert and 95% reflective textured corners for excellent output, uniformity and diffusion. 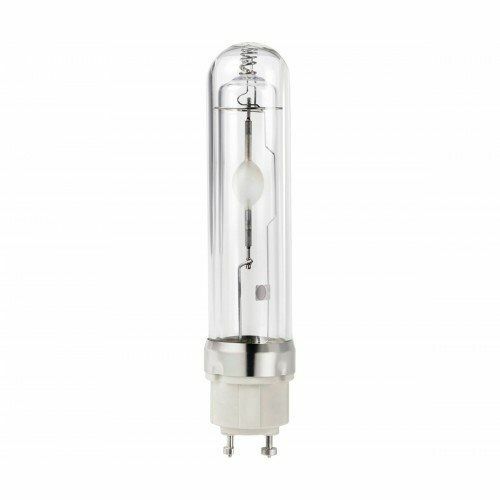 Highly efficient agriculturally engineered CDM-T Elite 315/930/U/O Agro Lamp (lamp included). It offers a greatly improved full color light spectrum out of next generation ceramic lamps. Higher amounts of beneficial UV and far red spectrums increase the lamps growth power to the plants. Available with 3100°K or 4200°K color temperature, high 92 CRI, 33,000 initial lumens (105Lm/W) and a long life 20,000 hour lamp. High 90% lumen maintenance @ 8000 hr & High 85% PPF maintenance @ 20,000 hr. Unique open rated lamp construction reduces radiant heat from the arc tube and is suitable for open fixture use. It features a 50/60 Hz low frequency, square wave, highly efficient electronic ballast rated for 50,000 hour ballast life. The LEC™ 315 driver incorporates built in thermal protection and a one year warranty lamp. 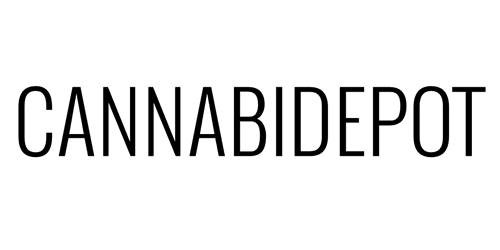 FREIGHT SHIPPING REQUIRED IF ORDERING 2 or more. 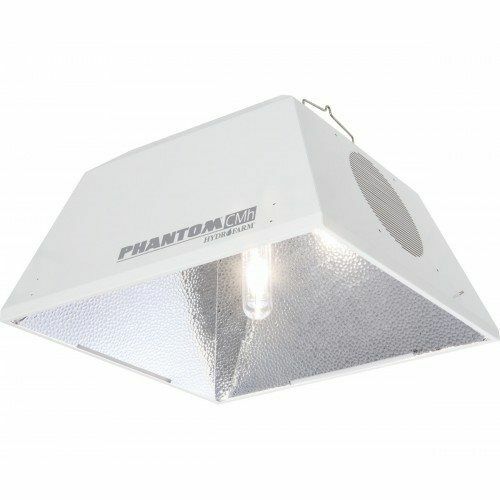 Finally an LEC that has two 315w Philips lamps mounted horizontally to provide you more PAR intensity than a 1000w MH lamp, at only 630 watts total. 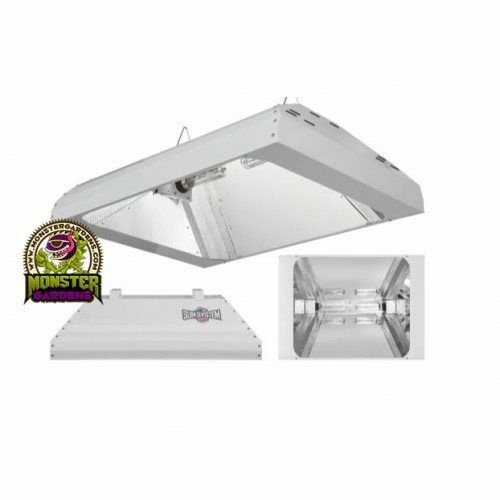 At Monster Gardens we recognize this as one of the best VEG or Mothering fixtures on the market today. 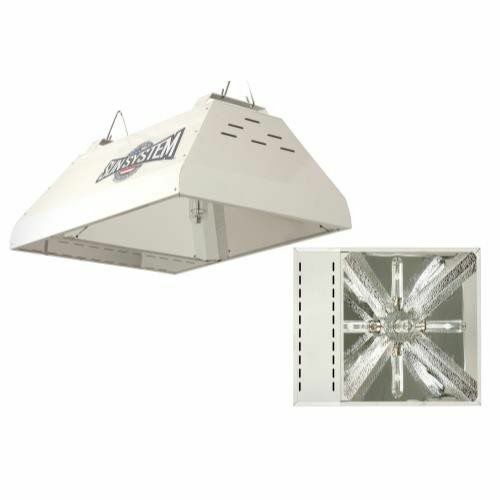 This new dual LEC fixture even outperforms most plasma fixtures we have tested at a fraction of the price. The Philips LEC lamps have a superior spectral output over a standard MH lamp while also providing a greater lighting electrical efficiency. FREIGHT SHIPPING ONLY, this item is too large to ship FedEx or UPS.